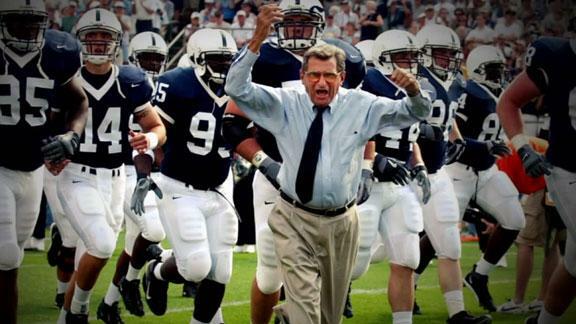 Joe Paterno Close to Death? Joe Paterno's doctors say the former Penn State coach is in "serious condition." Legendary former Penn State football coach Joe Paterno is gravely ill and his family is rushing to State College to be by his side, his family has confirmed. "Over the last few days Joe Paterno has experienced further health complications," spokesman Dan McGinn said in a brief statement Saturday to The Associated Press. "His doctors have now characterized his status as serious." CBS News reported Saturday night that Paterno died of cancer, but family spokesman Dan McGinn quickly replied that the reports are "absolutely not true." Oops. A friend on Facebook wrote, "this is not a competitive story. The man is 85, and he has incurable cancer. He'll be dead soon enough. Report it then."